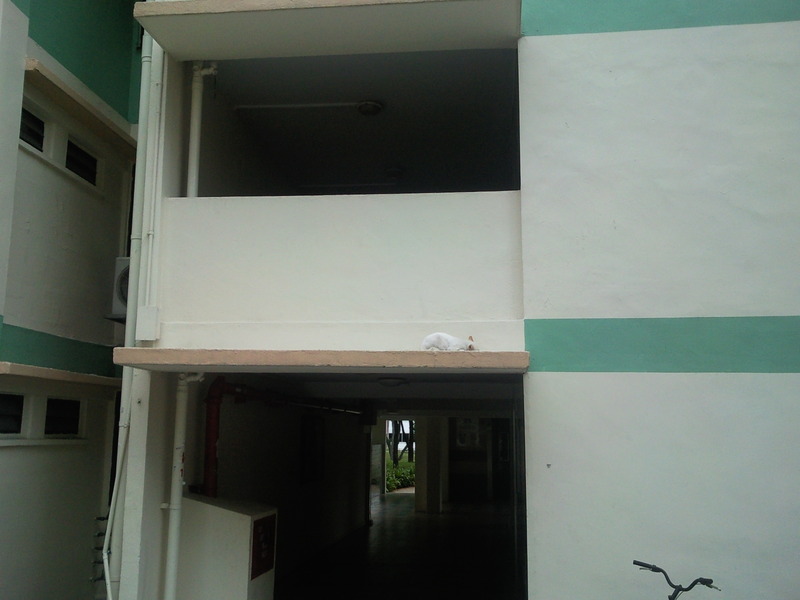 In less than a week, two cats were trapped on the 2nd floor of a hdb block in Boon Lay. The first incident is a white cat and second is a black tabby which happened this morning. The cats can't come down to eat as the position where they are in is "too high" for them to jump down. As such, someone has to climb over the parapet wall to bring them safely to the other side of the wall. These 2 incidents happened between 21 to 24 Aug 2012. 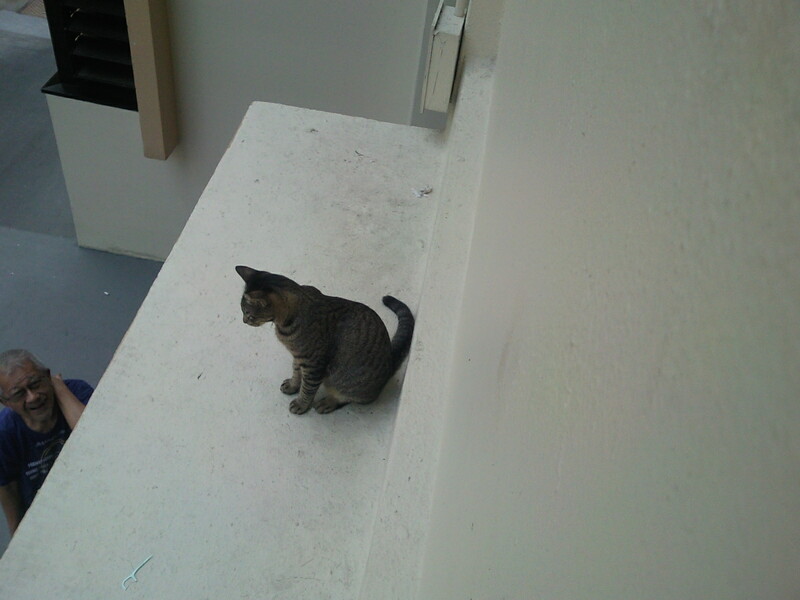 Suspected someone has been trying to put the cats on the ledge. As a result, the trapped cats won't be able to hunt for food or take shelter from the rain. Hope there won't be a third incident. White cat sleeping on the 2nd floor wall ledge. Black tabby trapped on the 2nd floor wall ledge.